Yesterday, doctors announced that a Mississippi-born child, now two and half years old, has been effectively cured of HIV. If confirmed, this unprecedented case will be remembered as one of modern medicine's most groundbreaking achievements — but what do we do now? 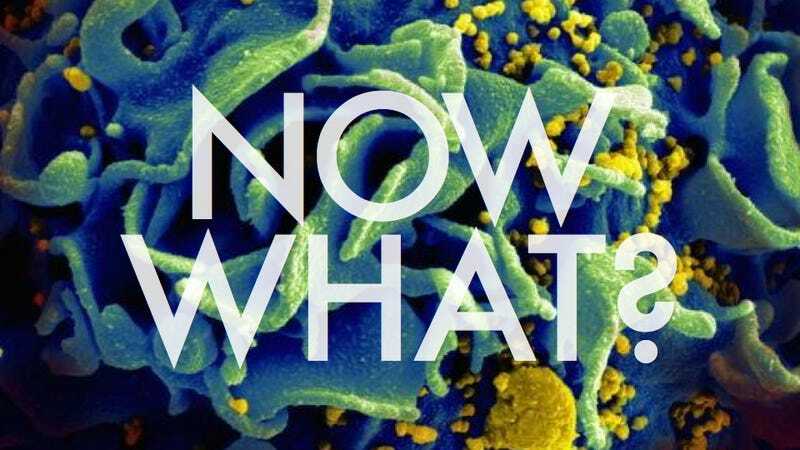 With over 300,000 HIV+ children born every year, where do science and medicine go from here? Let's cut right to the chase: the first and most important course of action, at this point, should not be to implement this child's treatment on everyone worldwide, but rather to replicate her incredible recovery in other children1. As The Atlantic's James Hamblin put it: "one case is one case." If the Mississippi child was, in fact, born HIV+ (and Dr. Hannah Gay, who handled the child's case at the University of Mississippi Medical Center, has stated unequivocally that the infant tested positive at birth), it remains to be seen whether the cure was a rare, fortuitous response to early treatment, or if immediate and aggressive intervention is a viable answer to HIV in infected newborns. Here's the thing: the Mississipi child's case was unique for several reasons that extend beyond her apparent cure. For starters, the child's treatment began quickly, a mere thirty hours after she was born2. Gay recognized that the child was at high risk of infection, and ordered an aggressive regiment of antiretroviral (ARV) medications. Perhaps crucially, she ordered this treatment before receiving the blood results that would later confirm the child was HIV+. The child's prescription incorporated three ARV drugs — what most agree is a rather bold course of treatment, given the toxic side effects of even one such drug. Administration of a single ARV is more common, and it's rare for more than two to be prescribed to an HIV+ newborn at once. "I just felt like this baby was at higher-than-normal risk, and deserved our best shot," Gay said of the child's case in an interview with the Associated Press. Gay's unconventional decision could go down as one of the most fortuitous in medical history; by 29 days of age, HIV levels in the girl's blood had fallen so low as to be undetectable by routine lab tests. The results were incredible, to say the least. But then the unthinkable happened: the child's mother stopped visiting the hospital. For months, the Mississippi girl and her mother were off the grid, medically speaking. In spite of (or perhaps due to) the child's incredible recovery, she and her mother began missing their regularly scheduled appointments. By the time the newborn was 18 months old, the pair had stopped visiting altogether. It took Gay months to track them down. When she finally did, the child was almost two years old, and had gone without medication for about five months. Gay has stated in several interviews that she fully expected, at that point, for the baby's bloodstream to be crawling with active virus. As the world now knows, that was anything but the case. The HIV tests Gay ordered when the child returned to her care all came back negative. The result was so unexpected, she asked for help from immunologists with more sensitive tests. Those analyses found traces of HIV, but no viruses capable of spreading; the child's doctors and assorted scientific experts now believe the infection to be incapable of multiplying in her own body, and of spreading to other people. The girl is therefore "effectively" cured. But it bears repeating: One case is one case — and the Mississippi girl's is a complicated case, at that. Antiretroviral treatments can be harmful to infants in normal doses, to say nothing of Gay's three-pronged pharmacological gambit. Reproducing the period of time when the girl's treatment was halted will prop up confounding ethical hurdles in coming months, as physicians and researchers collaborate to reproduce her recovery in other high-risk infants. Calls to see this "cure" made available around the world, while well-intentioned, remain far from practicable. This is very, very, very exciting news. We would do well to keep our heads in deciding how to proceed from here. 1: One glaring caveat here relates to timing: when, from an ethical standpoint, can studies aimed at reproducing the Mississippi child's treatment begin? Does one assume she is not only effectively cured, but has beaten an HIV infection (thanks to an admittedly aggressive course of antiretroviral therapy) without any unwanted side effects? To many people, it probably seems like any side effect would be preferable to an HIV infection, and that ethical considerations would therefore dictate efforts to reproduce the child's treatment begin immediately — but those of a more prudent disposition will no doubt advocate monitoring the girl's health for some time before such efforts begin. The question is: how long? 2: A note here on ARVs and dosage. The NIH has recommended that doctors administer zidovudine, a common antiretroviral therapy, to at-risk children within 6 to 12 hours of delivery to reduce transmission of the virus from mother to child after the baby has been born. This has proven to be a simple, low-cost, and very effective form of intervention. Gay's decision to treat the Mississippi child with a full-blown cocktail of three ARV therapies was predicated upon what she perceived to be a higher-than-normal risk that the child was already infected with HIV. It can take days to receive the results of a newborn's HIV test, making Gay's decision to treat the child the way she did a much more aggressive move. And while, in retrospect, it's easy to assume it was the right one, the only way to know it was, for sure, is to reproduce the treatment in future cases. For more, see Dr Emilio Lizardo's comments below.